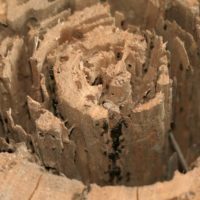 Home » Blog » Why Are Carpenter Ants Dangerous for Wood? Why Are Carpenter Ants Dangerous for Wood? Carpenter ants are a common pest throughout different parts of Canada. They invade homes and businesses and can create extensive damages, particularly to wood structures. Wood flooring, support beams, and wood siding are all at risk of damages. Understanding exactly what dangers carpenter ants pose to wood and how to identify those damages can help you get ahead of the problem. They prefer to create their nests in wood that is soft, moist, and somewhat rotted from the elements, natural decay, and other pests. It is easier for them to dig through the softer wood in comparison to dry wood. Keep your wood as dry as possible to prevent a possible infestation. Carpenter ants leave traces of their presence that are easily identifiable. The most obvious sign of an infestation is generally the sight of the ant. Of course, seeing an ant, or even a few ants, does not determine that an entire colony exists on your property. Therefore, you need to look for other physical evidence, too. Look for wood shaving piled under wooden items. You could also look for signs of damages to your floors and the trim around your windows and doors. Wood piles and damages to wood may indicate that you have a carpenter ant infestation on your property. Also, you can listen for the sound of carpenter ants working to dig tunnels. If you listen closely enough, you can often hear a quiet rustling behind the walls of your home or within wooden structures or furnishings. The only way to hear the sound is if there are several ants working their way through the wood, which is clearly a huge problem. A large infestation can quickly damage wood with ease. The damages caused by termites can end up being extensive and costly if you do not address the matter as soon as possible. Make sure you contact a professional as soon as you suspect an infestation. The quicker you handle the problem, the better off you will be. A professional can come in, assess your property, and determine if you do have a carpenter ant infestation. They can put a stop to the infestation before the ants create any further damages to your wooden structures. The quicker you address the matter, the less costly it will be. The longer you wait, the more time the ants have to create structural damages, which could end up costing you more. 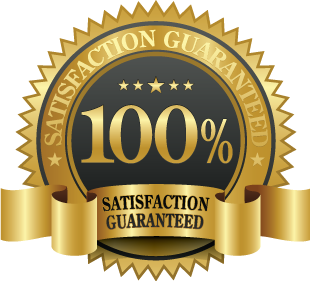 Contact Ant Control Toronto for a professional pest control services.